Our decades of experience in the Services industry has helped us formulate curriculums, processes and approaches to address the skills development needs of Professional Services, Support Services, and Field Services professionals. We partner with companies who are able to expand the reach of our training to new customers in existing and expanded markets via proven turn-key training offerings. 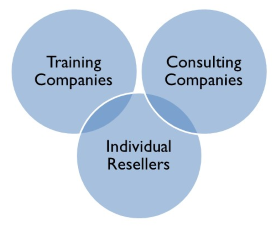 Sales (customization and pricing), marketing, and technical (LMS) support from RTMC. Training content is developed by RTMC, pick which training to offer your customers. We welcome the opportunity to talk with you about how you can become one of our training partners.